TweedLove’s award-winning bike festival is undergoing major changes for 2019, with a new name, a new location and partnerships with local businesses which aim to create a new event with the potential to attract thousands of bike and festival fans to the area. Peebles-based event organisers Hillside Outside Ltd have teamed up with Tempest Brewing Co from Tweedbank, and Innerleithen’s bike uplift business Adrenalin Uplift to create a unique festival experience for the UK. 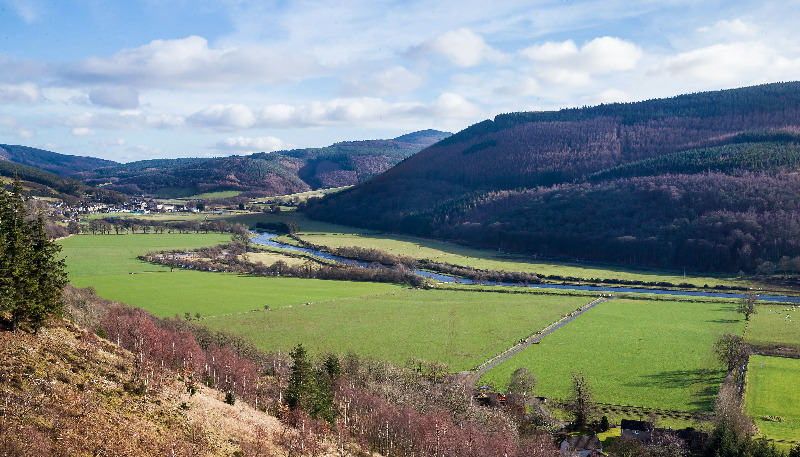 The event will be based on a beautiful farmland site just outside Innerleithen, Nether Pirn Farm, another of the local businesses which will host Transcend Bike Festival from 7-9 June this year. TweedLove has a reputation for hosting some of the most popular mountain bike racing in the UK, but the new festival clearly aims at something different. “We love all the excitement and fun of the races, but extensive research with the bike industry and customers all pointed to the same thing. Everyone wants an event weekend with entertainment, a real festival experience and bike riding for everyone, all weekend – so that’s what we’re providing,” says Dalgleish. The venue for the festival is farmland – set to be transformed into ‘Transcend Farm’ for the big weekend – is owned by dairy farmer David Hamilton. Like many local people he has a connection with the valley’s bike scene too, and his brother Dik built many of the famous forest trails which have helped to transform the valley into a tourism magnet, while the traditional Tweed mill industry has declined. “Having a top craft brewery partner with us puts out a clear message about the nature of the festival and about the willingness in the business community here to make things happen. We want to take the concept of a bike festival forward and to welcome people who just want to come and enjoy the atmosphere as well as the athletes at the top of their game. We all ride bikes to put smiles on our faces, and ultimately that positivity is the whole point of this festival – we just want to share those good times with people from all over the country and beyond”, says Neil.